Do you have one of those wacky friends? The ones with a deep, sincere, heartfelt conviction that Elvis still lives. That he is actually in seclusion preparing for his epic comeback? Busy rehearsing for the ultimate Elvis concert that will transform the world? Your friend undoubtedly has an articulate rebuttal for every possible reason you can throw at him for dismissing the possibility that Elvis might still be alive. His death was staged. The witnesses are all in on it. The corpse in Graceland is a DNA-identical clone of him. He is being kept young by a chemical concoction that the pharmaceutical industry has suppressed. Your friend probably turns the tables on your skepticism quite easily. How can you be so arrogant to claim to know everything? Are you that close-minded? Surely you can’t prove and therefore can’t know for certain that he isn’t still alive. If you are as scientifically open-minded as you claim you must admit some possibility that he might still be alive. Surely you can admit that reasonable people can disagree on this unless you believe he is dead purely as a matter of faith. The only intellectually honest position on this question must be agnosticism. Your friend points to several well-regarded scientists who admit that it is possible Elvis is alive. He recommends a plethora of scholarly books that debunk all those fallacious “scientific” arguments claiming that Elvis is dead. Or perhaps your friend has a different but similarly wacky belief that he clings to and argues for with great passion. All that was my way of setting the stage for the real point of this article – that I do not need to read any of those books purporting to prove that Elvis might be alive. Elvis is dead. Period. Any book that starts with the premise that he may still be alive is necessarily idiotic. There is no need for me to actually read them in order to legitimately dismiss them out of hand. Good scientists dismiss an infinite number of implausible claims all the time every day. So there is no need for me to entertain arguments about how Elvis might still be alive. And there is no reason for me to read a book that starts with the premise that Elvis is alive or the Holocaust did not happen or the Moon landing was faked or alien overlords built the pyramids. I can dismiss them all out of hand without even reading the book jacket. The only reason to read them may be if your interest is studying delusional thinking or the infection of magical thinking amongst otherwise healthy individuals. And I have read a great many of these books that purport to present a logical or scientific argument for at least allowing the possibility that god might exist. When I wrote my book Belief in Science and the Science of Belief (see here) I took the time to slog through a 4-foot stack of books that undoubtedly made Amazon the lucrative enterprise it is today. It was largely a waste of time and money on my part. Believers have had two millennia to come up with arguments so there are simply no new ones to be found. The only conclusion is that this is an idiotic conclusion. But then again what can you hope to get from any author that starts from the silly premise that god exists and works backwards? Religious books purporting to be scientifically legitimate examinations of the “evidence” for god pop up on Amazon every day like so many weeds. I can’t read them all but I can still dismiss them all out of hand. There simply is no god, can be no god, and therefore every book claiming to argue this point is necessarily as idiotic as books arguing that Elvis is alive and well and living in a secret wing of Graceland. And thus, dear reader, we finally reach the heart of my dilemma: Do I read these silly books and respond to them or do I simply ignore them? Ignoring them is not easy. If no one pushes back on them, they seem to win the argument. And there are so many of them saying the same silly things that many readers mistake quantity as an indication of quality. On the other hand, the time for engaging these silly debates is over. At this stage of the atheist movement, we must move past engaging in and thereby legitimizing these ridiculous debates. 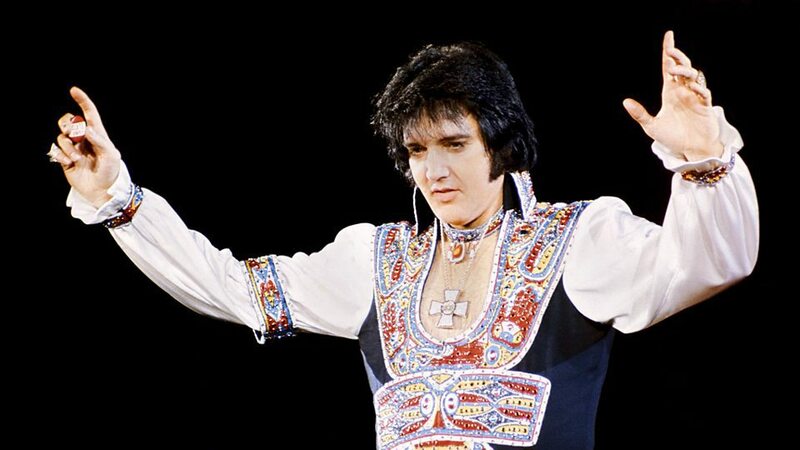 We should give no more consideration to religious ideas than we do to racist ideas or homophobic ideas or sexist ideas or the idea that Elvis is amongst us. Still it’s hard to resist getting sucked in. Recently a new book appeared on Amazon called “Can Science Explain Religion” (see here) written by a priest who is also a Professor of Religion. It apparently “debunks” the very theory of the evolution of belief that I present in my own book. Do I buy this and read it so I can credibly criticize it and defend my position, and thereby risk encouraging this nonsense? Or is it best not to even respond and hope that the rest of the country follows my sensible example? After struggling with this dilemma for many years, I have come to believe that refusing to engage is the best strategy moving forward. Engaging in further debate with them only feeds the beast. Like booing Donald Trump at a rally. It’s not an easy course of action nor is it without risk or criticism. But in science, we must first ask whether our basic assumptions are valid before we enter into discussions of the resulting questions. We must not let ourselves get caught up in grand debates over how Santa manages to deliver all those presents in one night when the very premise of Santa is pure fantasy. And that is how we should respond to these books and these arguments – by dismissing them out of hand and with great prejudice and by refusing to entertain dependent arguments arising out of purely implausible assumptions.